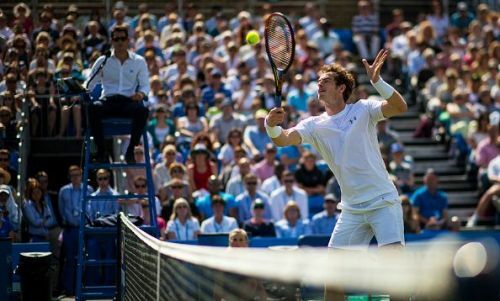 So you want to start playing tennis but don't know where to start? Well, the first decision you can make in the right direction is to go to the closest tennis club and sign up for coaching. What about choosing the right racquet, learning the basic shots or even learning the rules of the game? This article will hopefully be a jumping-off point to a deeper study of different areas of what tennis has to offer. Now for the rules. Let's try and simplify the game. In tennis, you have one server and one receiver. The server is at an advantage generally because he/she gets to set the tone of the game. We'll get to what the basic serves are in a minute, or you can even check this article that goes a bit deeper into tennis serves. The serve must land in the box that is diagonally opposite the server, inside the service line. If it doesn't land there, it is called a fault. 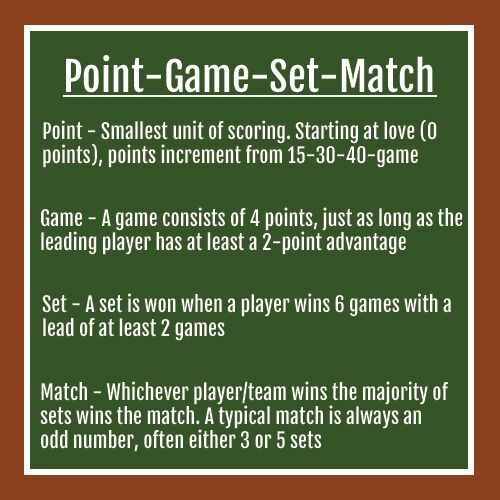 A server gets two chances in one point, known as the first serve and the second serve. Generally the first serve is much more powerful and a higher risk shot but also has high reward if it falls within the right service box. These are just the basic rules of the game. If you are interested in learning the finer rules of the sport go here. 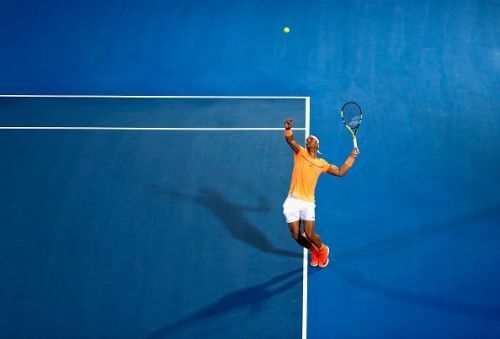 The serve always begins a point. 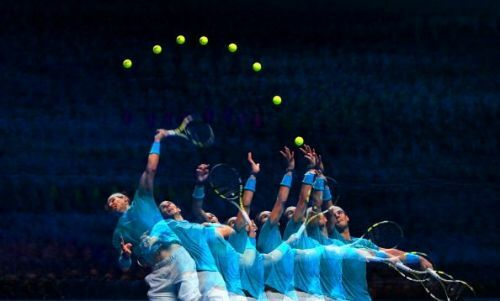 The serve can come in many forms, with its own tactical variations. 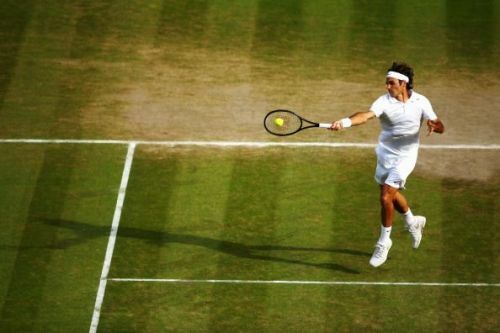 The forehand is the shot the comes from the dominant side of the body. The forehand is the easiest stroke to master because it comes so naturally. It is normally the strongest tool in the shed for most players. The backhand is struck with the non-dominant side of the body and can be a bit challenging for beginners. You have the choice between the one-handed or the two-handed backhand. 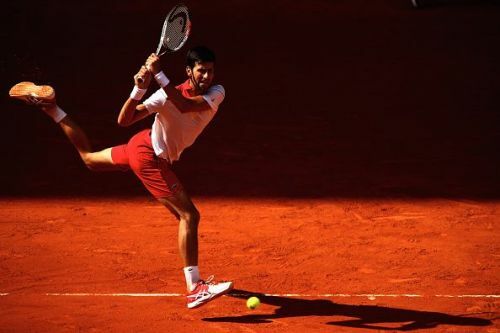 The more commonly adopted two-handed backhand has great power and accuracy even in stretched positions, but one-handed backhands allow a greater degree of flexibility, and are more useful for underspin and slice shots. The volley is a shot where the player makes contact with the ball before it touches the ground. The volley is more like a position of play that could introduce a medley of shots. Normally after a volley is hit, the opponent has a choice between a passing shot - which is a forehand or backhand precisely hit so that it goes past the player in volley position, or a lob - which is effective when the volleyer is too close up the net or even a short player. The lob shot is often followed by a drop shot, which brings the player close to the net forcibly. In this way, the depth of the court can be used very effectively. Special shots mostly occur while trying to recover lobs. The between-the-legs shot a.k.a. 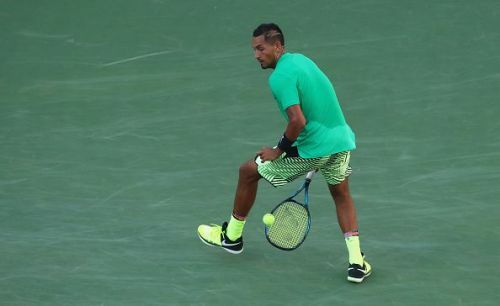 tweener is one of those, often played to perfection by upcoming star Nick Kyrgios but made famous by Boris Becker, Andre Agassi and Roger Federer. 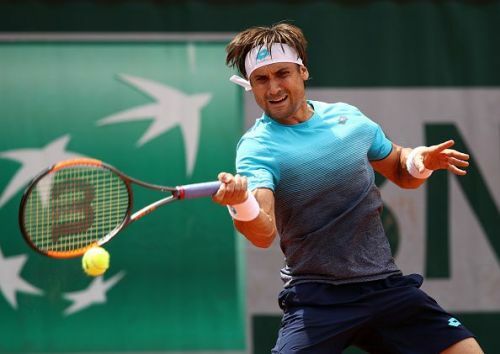 Some others include the 'Bucharest Backfire' which is an over-the-shoulder backward shot, and the front-tweener, where the player is facing forward while attempting a tweener. Continental Grip (Bevel 2): Before the advent of the modern topspin-heavy game, this was the most popular grip in tennis. That was because practically all the shots could be played with this one grip. The continental grip, also called the chopper grip or hammer grip, is obtained when placing the hand such that the base knuckle of the index finger is right on bevel 2. If the racquet is held like an axe, it is generally the continental grip. This is still the preferred grip for serves and volleys. 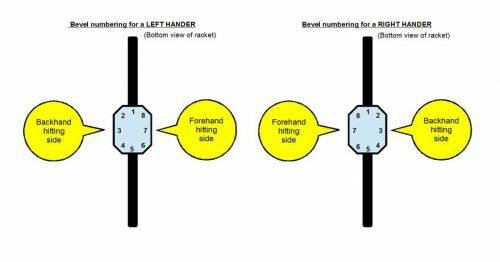 Eastern Forehand grip (Bevel 3): The Eastern Forehand grip is obtained when placing the hand such that the base knuckle of the index finger is right on bevel 3. Also known as the 'shake hands' grip, this grip is a nice middle ground between fast, flat shots and some topspin for control. It is well-suited for a modern serve and volley player due to its closeness to the continental grip. 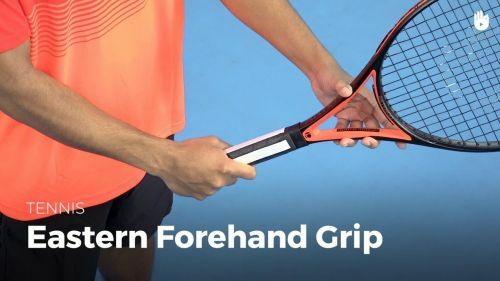 Semi-western forehand grip (Bevel 4): This grip is much more suited towards modern day baseliners who are slower tactical players and need a grip that gives them enough control to sustain long rallies while also imparting power to their shots. The semi-western grip is obtained by placing the hand such that the base knuckle of the index finger is right on bevel 4. Low balls can still be a challenge since it's hard to obtain the low-to-high motion with this grip. 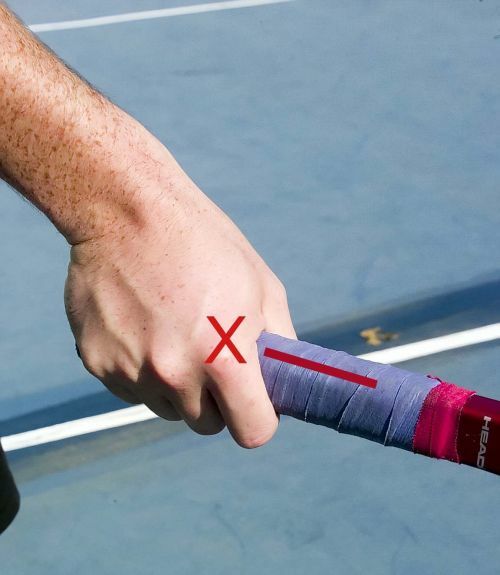 Western forehand grip (Bevel 5): Getting to more extreme grips, the western grip produces tons of topspin but comes with a fair deal of complications, especially on low balls. The western grip is obtained by placing the hand such that the base knuckle of the index finger is right on bevel 5. The famous Indian player Vijay Amritraj was known for his western grip. Eastern Backhand grip: Often used alongside the western and semi-western forehand grips, this allows the shot to be played on the same face of the racquet as the forehand. It allows for a good amount spin and control. Hopefully these descriptions have helped you get a better idea of tennis, and sparked the interest to study the game further.